...because I've never sported hair as red as this! Remember when I had cold feet getting my hair colored with Light Havana? I've finally lighthavanasized my hair and I'm still adjusting to the screaming reddish color it gave me. But in here, oh in here, you'll see my red-orange hair. I feel like a japayuki, huhu. (I'm sorry for the stereotype, i've no intentions to sound condescending. I'm just not as confident as most girls with brightly colored hair are). I'm not used to having my hair dyed in this type of color. 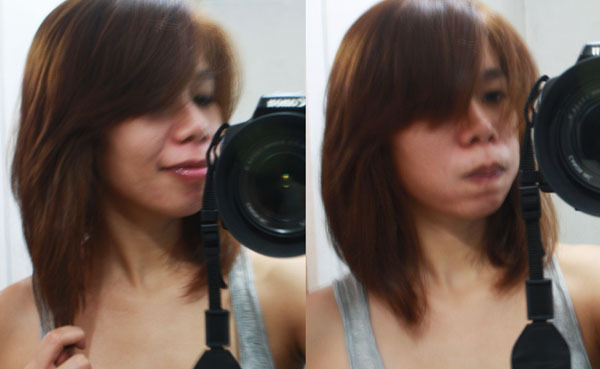 I know it's not as bad as I think it is, but the color is just NOT ME (read my hair advenchoorz here). Full story and product review to follow. 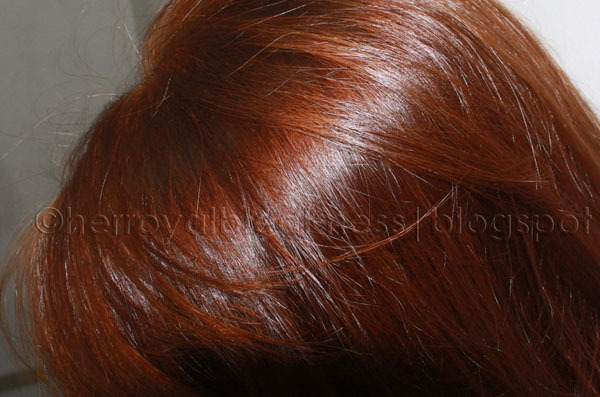 Re: the color, I would understand though, I've had my hair dyed in Reddish shade, it suits me (according to everyone) but I changed it to brown afterwards because it's just not me! awww.... it's sad that you don't like it but i think it looks very pretty on you! maybe if you leave it on for a while the color will change..? @sugar, tama ka! the color did darken, so... yay!